Nostalgia – It creeps up when you least expect it. The other day, I stumbled upon a this movie on Door Sixteen’s blog and man did it take me back to college. Freshman year, our foundation professor, Gretchen, showed this to us. I believe it was right before we had an assignment to photograph a sculpture we’d just built, to give us some insight into perspective. It’s a pretty cool video, though I remember being bored by the end. I get it already!! Let’s get on with the work! So tonight, the hubby is out. I decided to sit down, have a bottle of wine, and unwind. 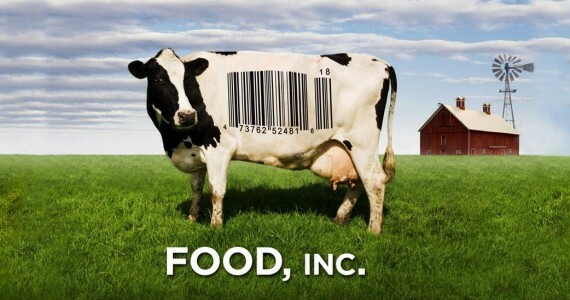 Checking the Netflix queue I settled upon Food, Inc. to watch, probably because of a quiz on YumSugar today about the same movie. I was perusing the CB2 catalog, and half-watching this movie, while sipping my wine. Afterall, I’ve read Fast Food Nation and In Defense of Food. Not to mention Fat Land and The End of Overeating. I’ve watched my great-grandparents grow their own food, and I’ve started doing that on my own (yet to harvest, but SOON! at least on the broccoli rabe and Asian greens). Funnily enough, I find myself craving gingerale now. I know “Brilliant!” is Guiness’s schtick, but I think the use of these 1950s illustrations to make hilarious commercials deserves a “Brilliant!”. And a toast, with a Jack and Ginger, or something equally Schwepps-tastic.